Ultraviolet UV-LED 395 nM (blacklight) Flashlight and a White Light LED Flashlight. 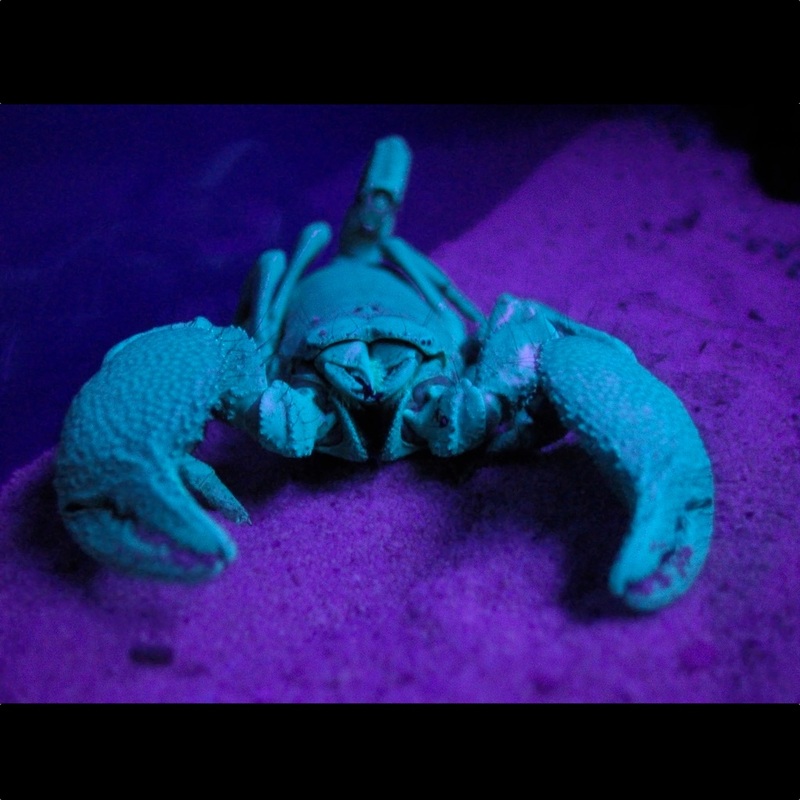 A combination Ultraviolet (UV) blacklight and a white light flashlight. 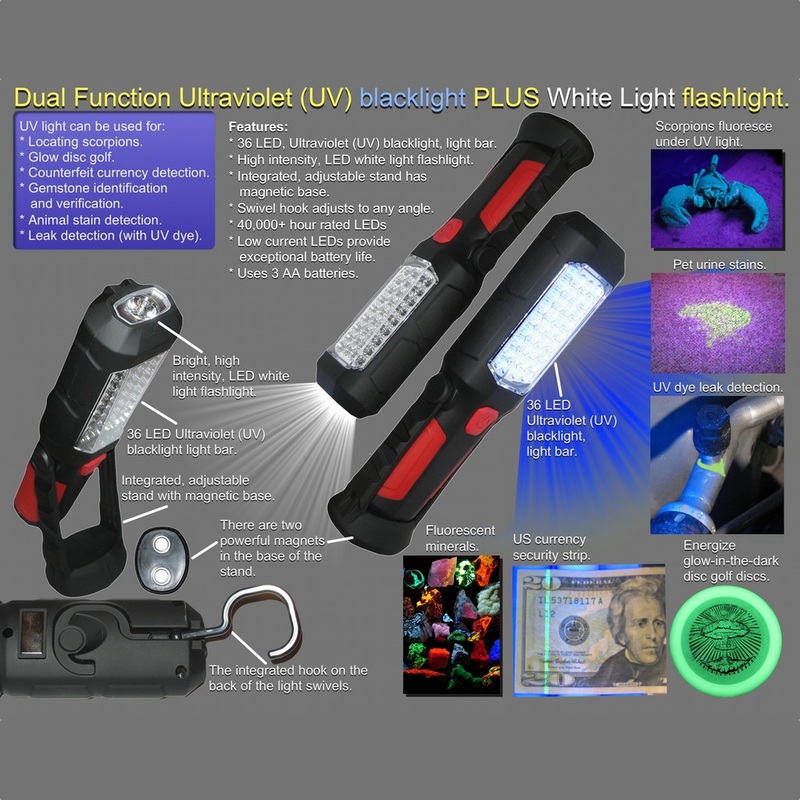 This white light flashlight and UV light combination is the perfect light for hunting scorpions, animal stain detection, glow disc golf, currency authentication, leak detection (with UV dye), and mineral/gemstone identification. A Glow Cone attachment is an available option. 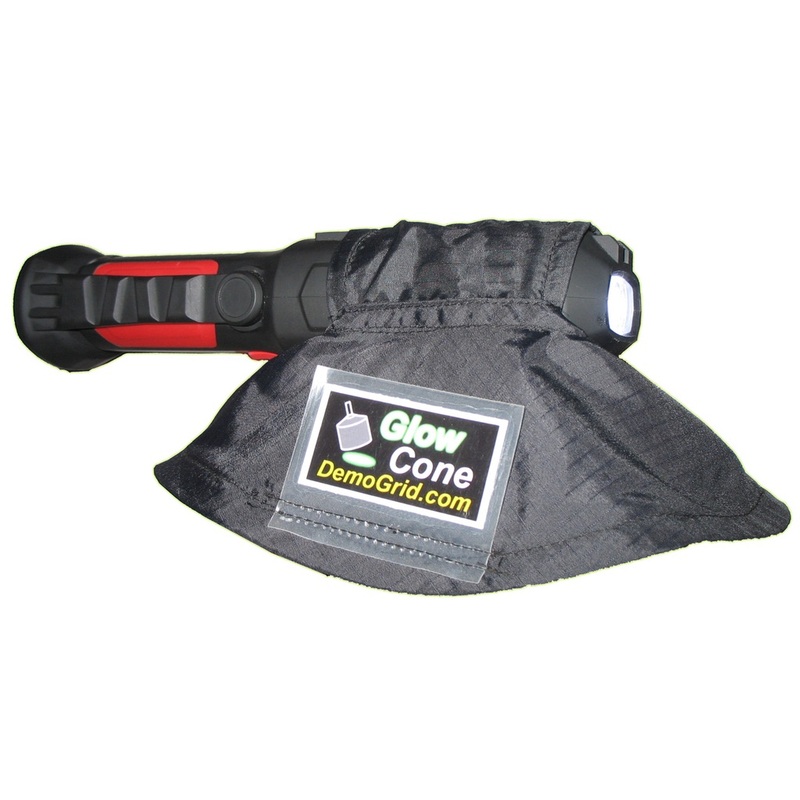 A hand held work light with a UV LED light bar and a white light LED flashlight. 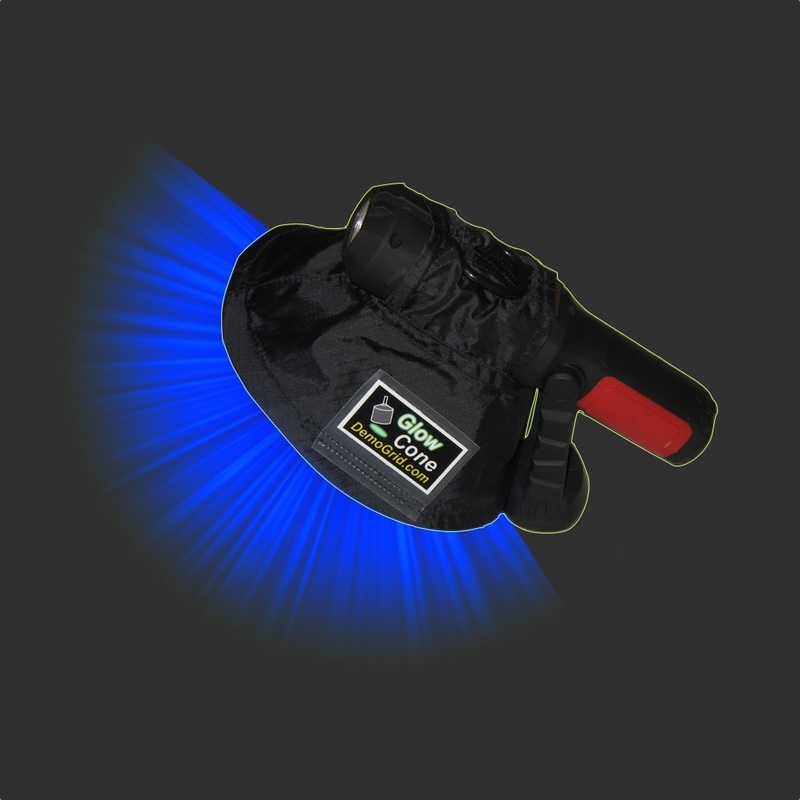 Use the bright Ultraviolet (UV) 36-LED light bar for applications that need a blacklight. Then, with the press of the button, switch to a high intensity, white light, LED flashlight! Hunting scorpions; Scorpions fluoresce under UV light. 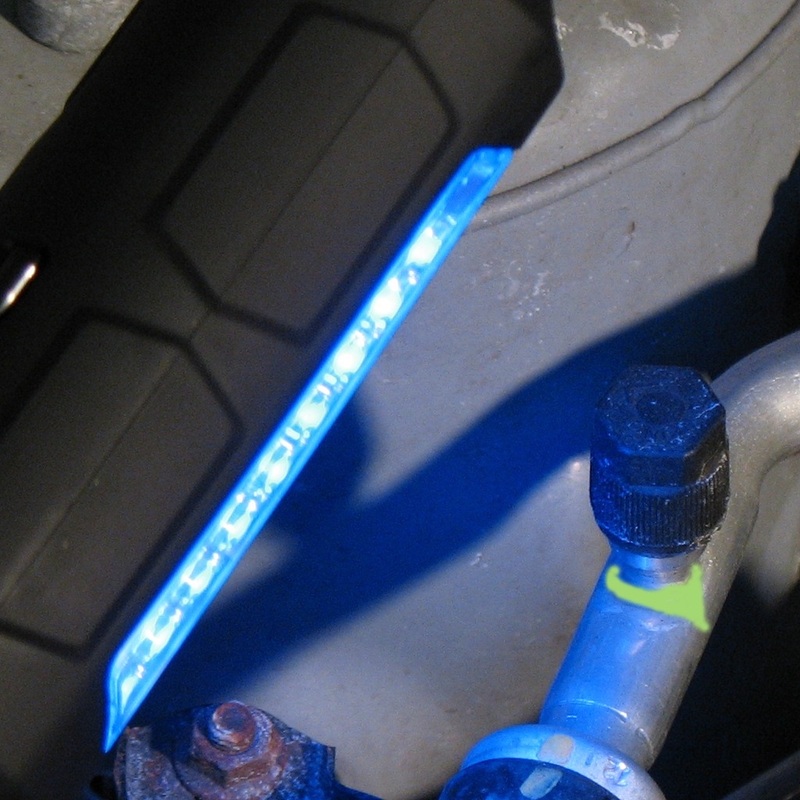 Leak detection (with UV dye). 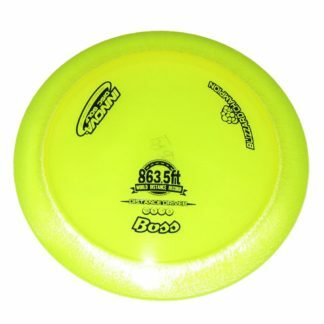 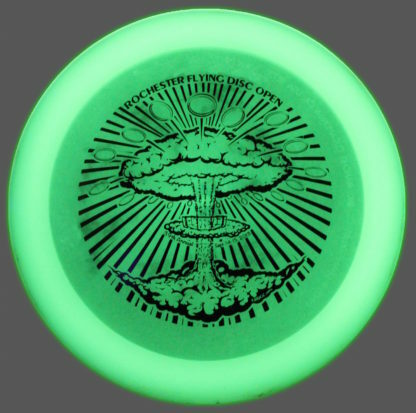 Energizing glow-in-the-dark disc golf discs for playing glow disc golf. 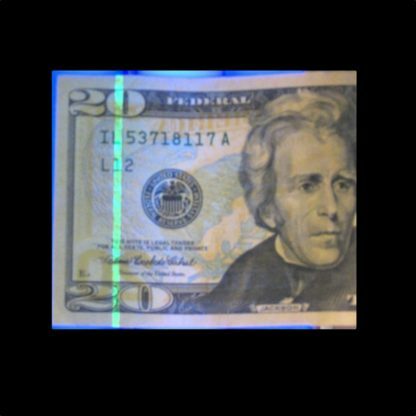 Currency verification. 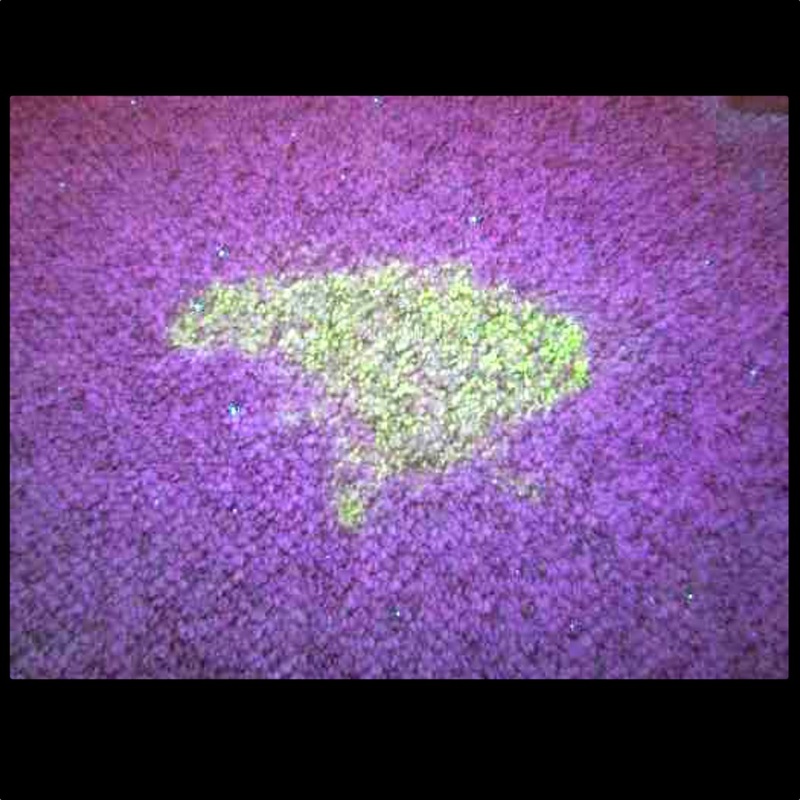 United States bills have fluorescent security features. 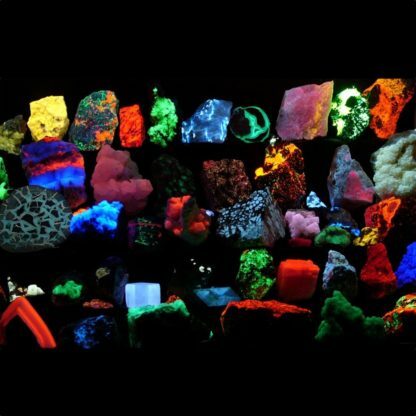 UV light can reveal certain body fluids. 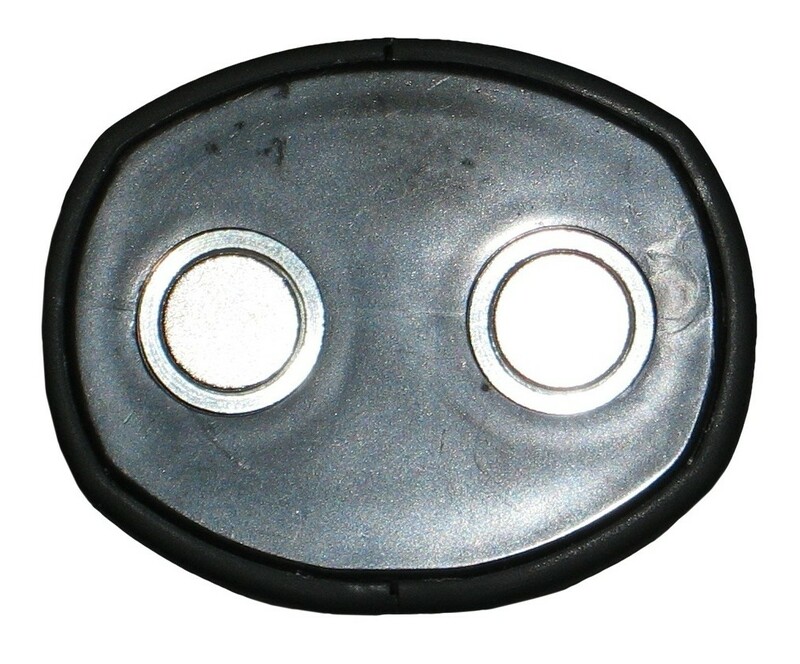 The integrated, adjustable stand has two powerful magnets. The light can be perched on the stand or use the magnetic base to attach the light to steel (like the underside of a car trunk lid) for hands free operation. 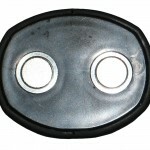 On the back of the light is a hook that folds out and swivels so that the light can be hung during operation. 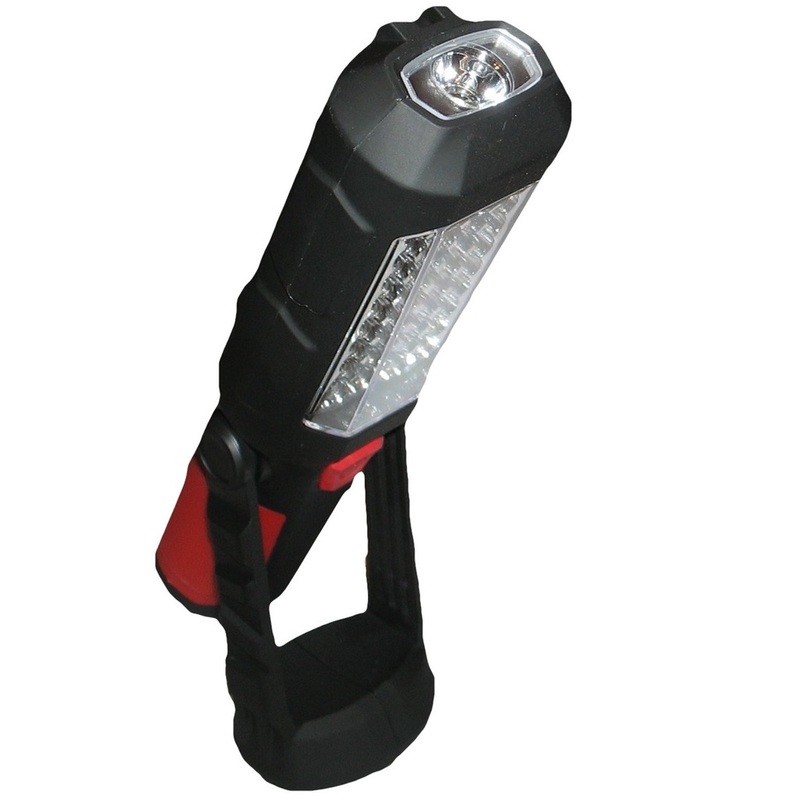 Or, when not in use, hang up the worklight in your garage or workshop so it is out of the way but easily within reach when needed. 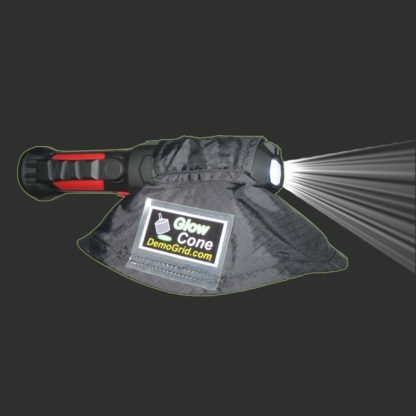 A Glow Cone is an optional attachment for the light. 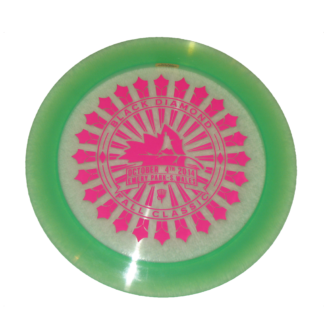 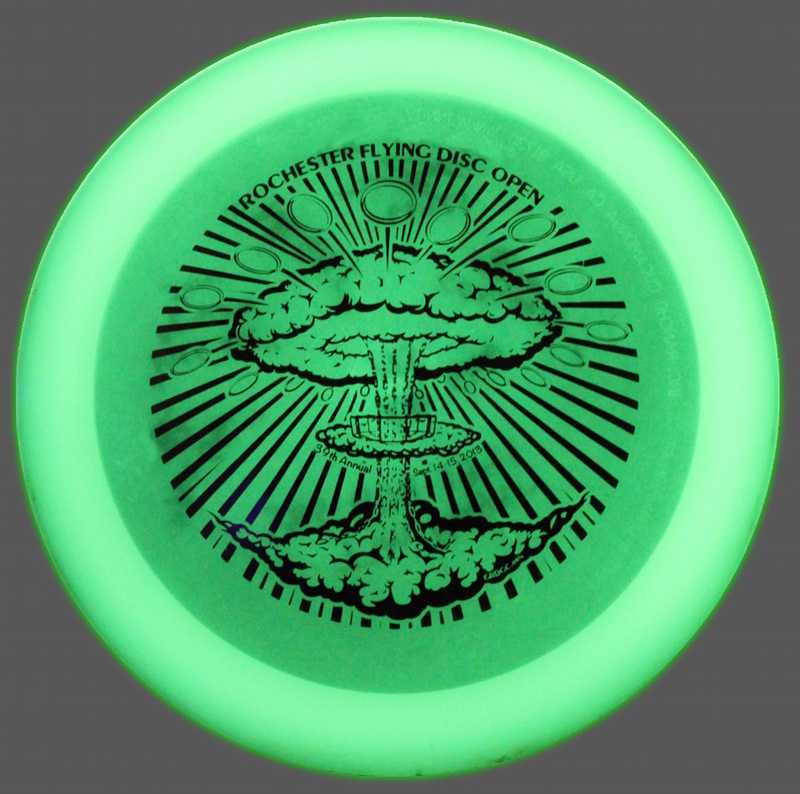 Though there may be other applications, the Glow Cone was designed for use while playing glow disc golf. 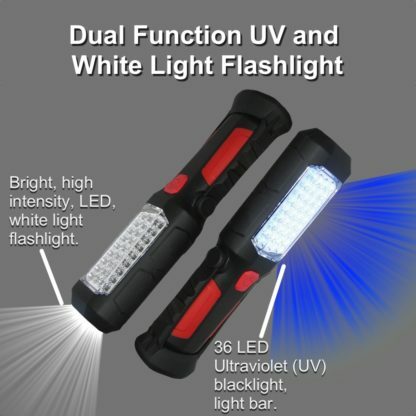 The UV light bar can energize a glow disc in as little as 3 seconds. 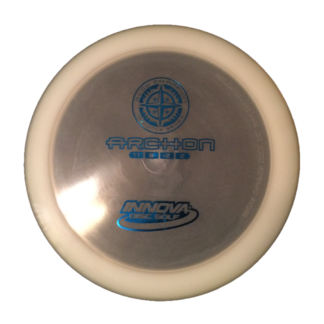 When energizing a glow disc, the Glow Cone will block light that is reflecting off of the disc so that the reflecting light does not effect your night time, darkness adjusted vision. 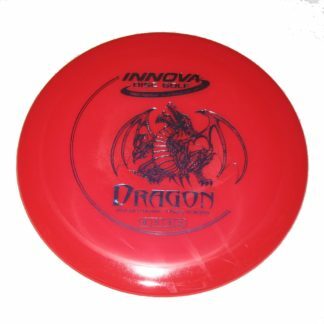 When using the light for Glow Disc Golf, it may be helpful to have a red light flashlight because red light is less disruptive to nighttime, darkness adjusted vision. A temporary red lens can be created using clear packing tape and a red marker. Click the video to the right to see a demonstration about creating a temporary red lens for the dual function UV and white light flashlight. There are no cords or charging required for this portable, UV and white light, dual function flashlight. 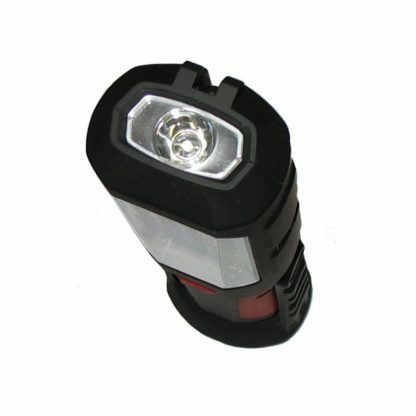 The light operates with three AA batteries. Avoid shining the bright light of the flashlight directly into eyes.